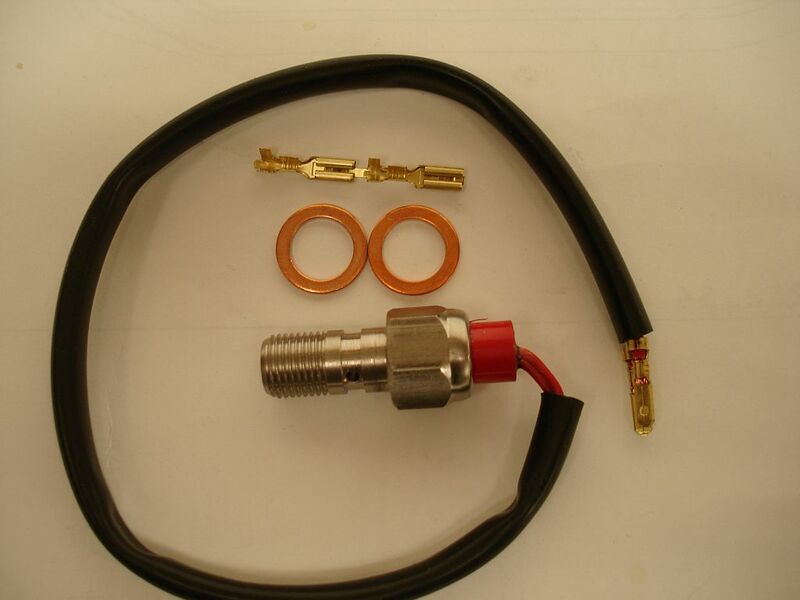 In line brake pressure switch - This pressure switch allows the rear brake light to function with our rearsets and simply fits to the master cylinder through the brake hose banjo fitting. It comes complete with wires and terminals which may require slight modification to the existing wire/terminals on the bike. We stock 2 variations of switch M10 x 1mm pitch and M10 x 1.25mm pitch. 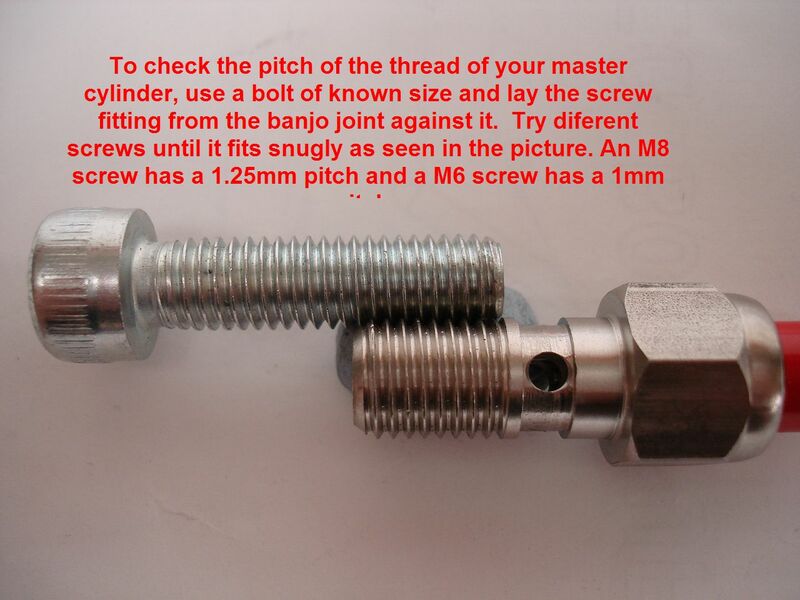 To check which you need see additional picture.